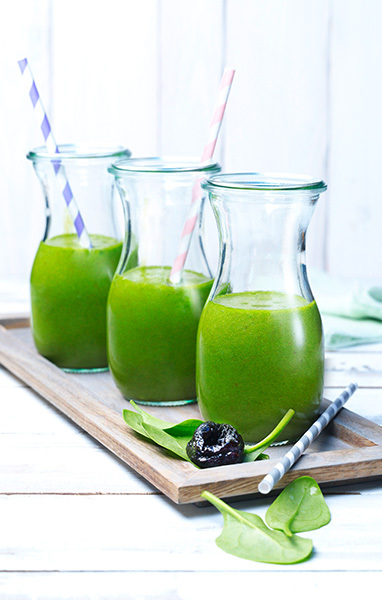 In blender, combine spinach, pineapple, prunes and 1 1/2 cups cold water; blend well, adding more water if necessary for desired consistency. Divide evenly between two glasses. Serve cold. Replace pineapple with an equal amount of ripe mango chunks if desired. For optimal results, use powerful blender.